Being a parent is one of those things that you always imagine but you never truly understand until you are one. You might think it’s going to be difficult, wonderful, emotional, tiring, stressful, exciting – turns out it’s all of these things, and way more. When you embark on a new career, you usually have extensive training. You would never send someone into an operating theatre who hadn’t trained to be a surgeon. So how is it that suddenly you are expected to care for a tiny human who is one hundred percent reliant on you to keep them alive? It’s slightly insane when you think about the weight of the responsibility that comes without any real preparation. How do we do it? We just do! We use our instincts, our gut feelings, our best guesses to get us through the numerous different ages and stages. We might read books and ask advice from seasoned friends and family, but ultimately we have to decide what’s best for our child. There have often been times when I’ve weighed up all the options and just gone with what I think is best, crossing my fingers and hoping I’m right. 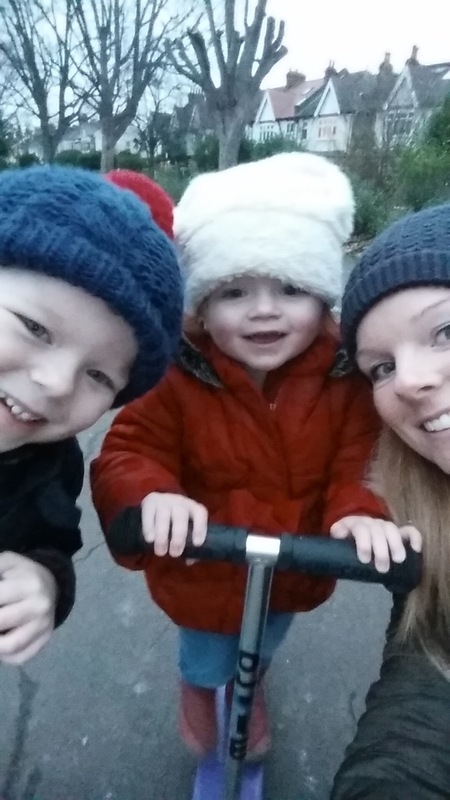 Parenthood is such an unknown quantity and the constant changes don’t help. Just as you think you’ve got the hang of things, everything moves on and you have to move on with it. Your baby finally sleeps through the night, but then comes the weaning which changes things all over again. We have to become so adaptable to these constantly evolving little creatures, it can be utterly overwhelming. Here are just a handful of the many roles we take on as parents and how survive them! From the second your precious baby is born, they look to you for love and nurture. You are the first experience they’ve ever had of being loved and cared for, you will teach them what that means. You always imagine you will fall in love with you baby immediately, some people do, but for some it can take a little longer. I suffered with post natal depression when my first child was born and it took me a few months to really love him like I wanted to love him. It’s not easy to admit that, even now, as it just seems unthinkable. Post natal depression is so hard for everyone involved, but it’s not something to feel ashamed of. Like all mental illnesses, it’s not a choice. I’ve talked before about my experience with post natal depression so I’m not going to go through it all again here, just know that you’re not alone. Tell someone you trust how you feel, don’t keep it inside. It will eat you up, it will consume you. Don’t let it win! Get help, be honest, it’s ok.
You will love your child, so much. You will feel how you want to feel about them, and it will be amazing. I adore my son more than I could ever have imagined and those first few months feel like a bad dream to me now. I shower my children with love and affection. I tell them all the time how much I love them. In fact, I said ‘I love you’ to my son yesterday and he said ‘Mum, don’t keep telling me that!’ I asked him why not, slightly concerned and he just looked at me and said ‘because I already know how much you love me.’ I felt so happy and reassured that my child feels so sure and safe in the love I have for him. I’ll keep telling him though, whether he likes it or not. For me, this has been one of the most difficult aspects of parenting. It’s so easy to look at other people’s children and imagine how you would do things differently, how you would keep them in line. It’s such a different experience when it’s your own kids. I know that discipline is vital and that it gives your children stability and grounding. As far as hitting other kids or being good at sharing, I’m all good. It’s when they want just one more biscuit or one more cuddle at 9pm when they’ve been out of bed ten times already that I struggle. I’m too soft! Not only that, I’m still figuring out the methods I want to use to discipline them. For example, I do the count down thing ‘3,2,1…’ This used to work, they’d run off and do whatever is asked them before I even got to number two. Now, however, they shout back at me ‘what happens if you get to zero?’ As ridiculous as it sounds, I don’t know! I know that I need to decide on boundaries and stick to them. Children need to know that their parents are strong, that they know what they’re talking about. Parents are meant to be people that a child can turn to for council and direction, it’s so important. Discipline with love, don’t lose control. Listen to your children, give them a chance to speak their opinions and then tell them yours. Let them know that certain things are not ok and they never will be. I’ve often fallen into the trap of giving in but I know that’s lazy parenting. Doing things for a quiet life is not good for anyone in the long term, it really isn’t. When you have children, you suddenly realise how much free time you had before they came along. You always thought you were so busy and had no time for yourself, but really you had no clue what that meant! My life revolves around the needs of my children, and I’m happy with that. I love that they want to be with me and look to me for all of their emotional and physical needs. 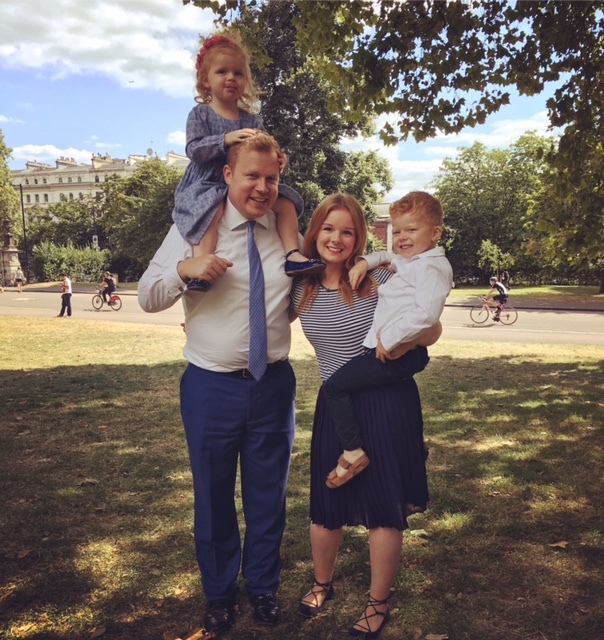 It can feel claustrophobic at times, like when I’m on the toilet with two little people chatting away to me, and sometimes I just want to be on my own. I’m learning how to be more selfless, and it’s mostly working through changing my thoughts. When I get to that point where I just want five minutes and feel like I want to shout ‘please leave me alone’ I take a moment. I collect my thoughts and I put myself in their shoes. They don’t understand the need for alone time and why should they? I’m their mum, it’s my job to fulfill their needs and give them a happy and enjoyable childhood. I don’t want to look back one day and wish I hadn’t pushed them away. Wow, this is the toughest of all. 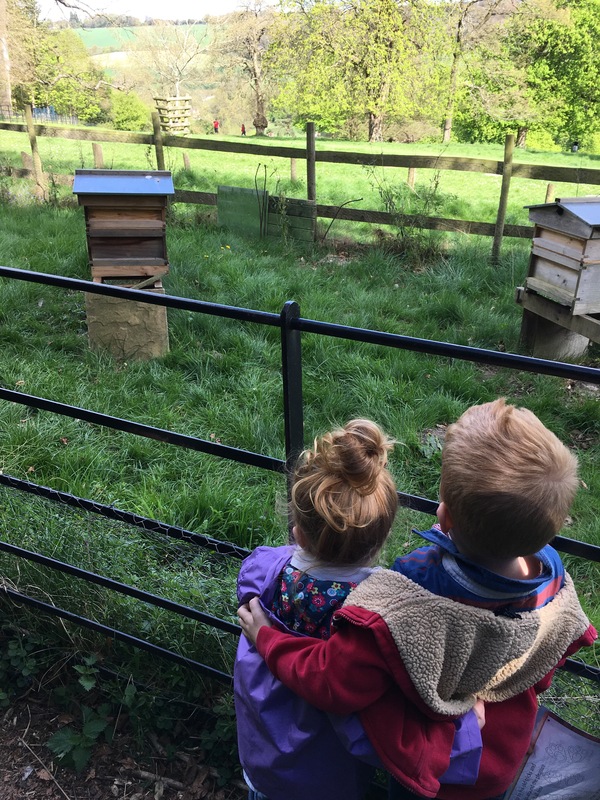 My children are only three and five years old and already I get a lump in my throat when I think of them growing up and leaving home. How will it feel to not be needed any more? To not be their number one? What will it be like when I can’t take away their sadness with a hug and a kiss? 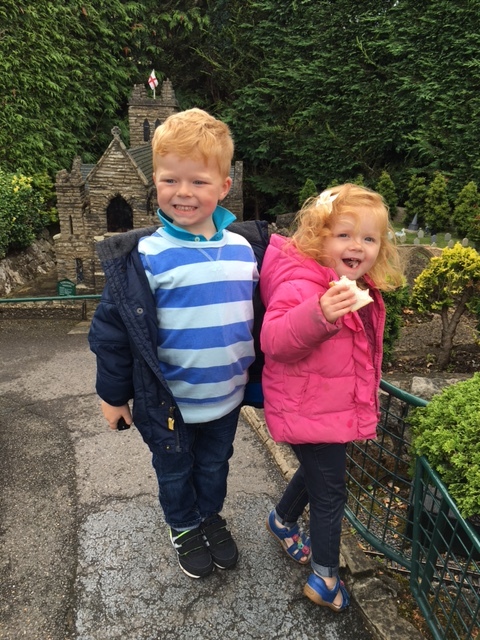 My first real taste of stepping back has been my son, George, starting school last year. It has been a difficult transition for me, but it does get easier. As soon as I’d waved him into his classroom, I’d release the tears I had been working so hard to keep inside. I never let him see that I was sad, that would have done him no good at all. I wanted to scoop him up and take him home, but that would have been completely selfish. He loves school and has always happily waved goodbye and never looked back. I just found it so hard to not know every detail of what he was doing during the day. I wanted to be there if he fell over or if someone was mean to him. It is part of growing up, to learn to be without your parents and I’m not sure who finds it more difficult! The first few weeks after school I would quiz him about everything he’d done and it would drive him crazy. He wanted me to stop asking him questions, it was too much for him. I realised I was smothering him and instead of strengthening our relationship, it would make him pull away from me. Don’t suffocate your children. Love them and always be there for them but give them space and let them figure things out. Try not to offload your own emotions and worries onto them, they don’t deserve it or need it. Let them be children, then let them be teenagers, then let them be adults and hopefully through all of it they will be your best friend. Did I ever mention that I live in London? Or that I love it so much? I adore this city and I can’t imagine living anywhere else. I’m sure one day that might become a reality but right now it really is home. 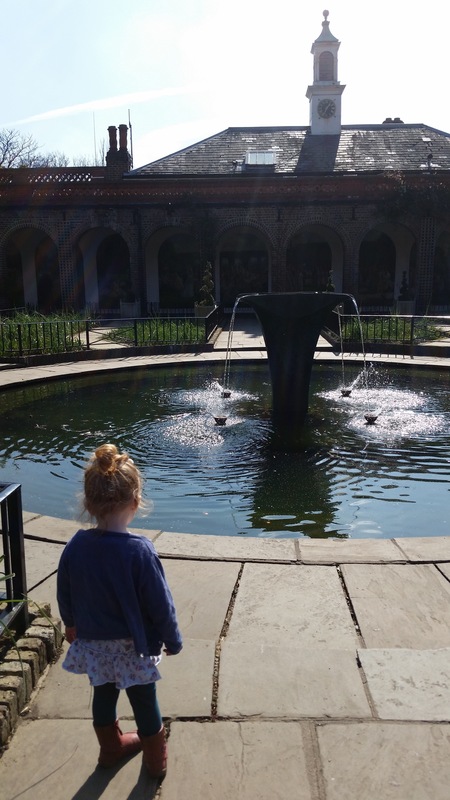 With two small children, I am always looking for fun (and cheap) things to do with the kiddos. 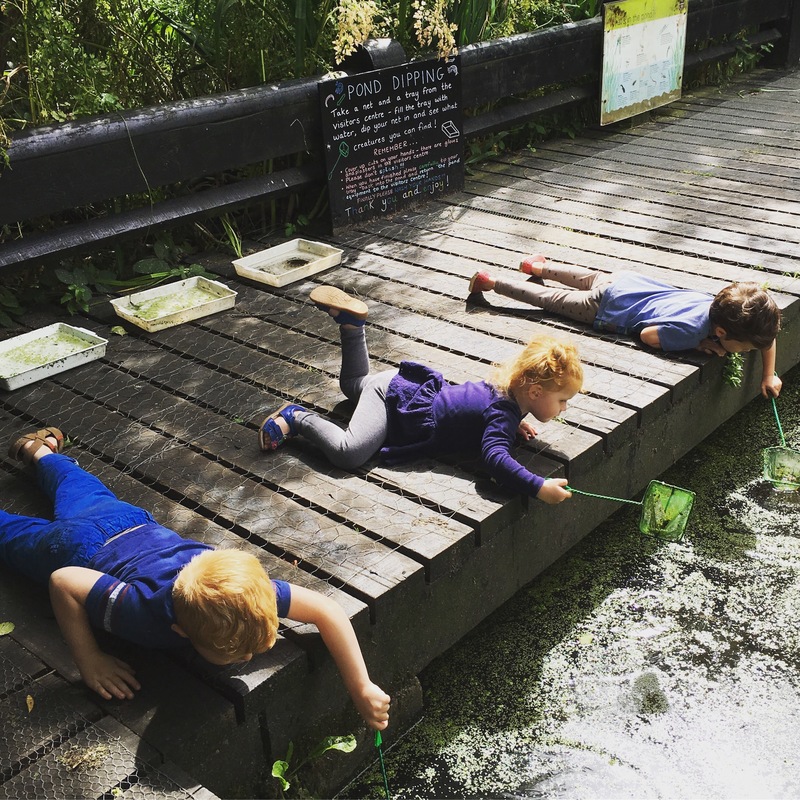 I thought I’d write my top five tried and tested activities for kids in London. This may seem like an obvious one, but bear with me. The Science Museum is massive and you could go there every day for a week and still have stuff to do. I want to write specifically for kids and the experiences I’ve had there. 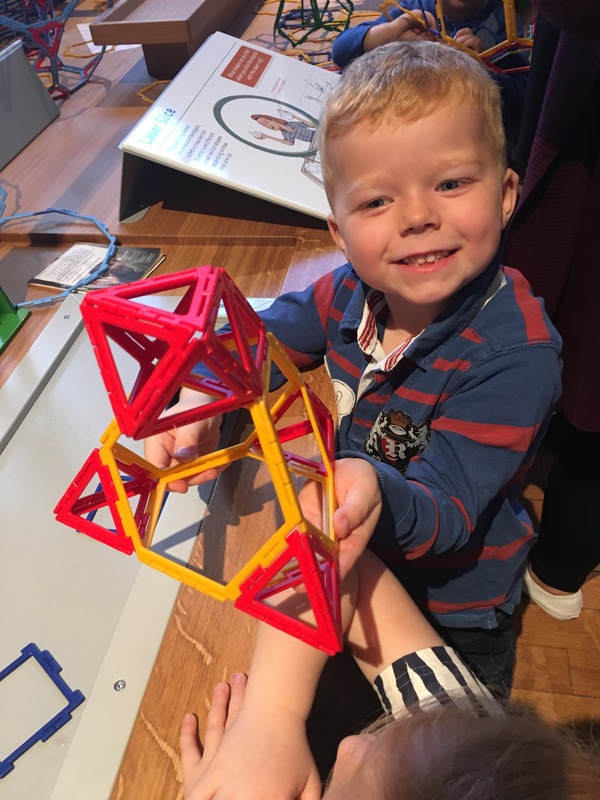 If you can only go to the museums in school holidays, then my advice is get there early. Ten or fifteen minutes before it opens is a good time to start queueing outside. The queue goes down very quickly once the doors open at 10am. Head straight down to the basement to the area called ‘The Garden.’ This area has lots of hands on fun stuff for children. They have a big water play area with little boats and pumps to play with. There are also giant building blocks and a puppet theatre. If you get down there quick before it gets crazy then you can pretty easily keep tabs on the kids and let them explore. I also want to mention an amazing new part of the museum that only opened a few months ago. It’s called ‘Wonderlab’ and is located on the third floor. Now, this area is not free BUT if you pay once then you get to come back as many times as you like within one year, which I think is really good value. 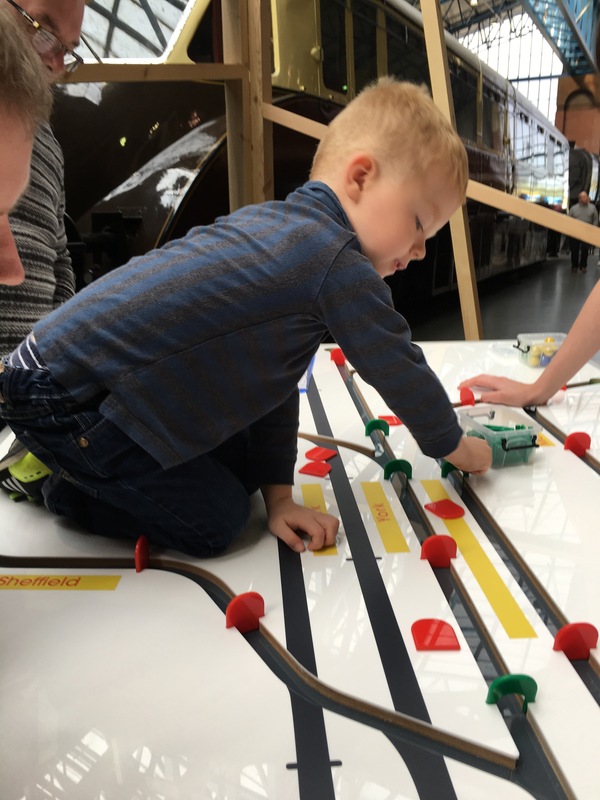 Wonderlab is really incredible, there is so much to do and even more hands on activities and puzzles. They also have slides that teach the kids about friction and live and interactive experiment shows. I can’t recommend it highly enough, totally worth paying for if you can come back a few times within the year. I am lucky enough to live close by so we often go after school and my kids just adore it. We discovered this place last year and as soon as the weather warms up, we will be heading there again. You can make it a whole day out if you want to as there are lots of things to do within the same small area. Camley Street Natural Park is a unique urban nature reserve, a little oasis in such a bustling part of the city. The kids loved walking along the trail and we even saw some sleeping bats which they still talk about now. Also available are fishing nets and trays so that the kids can do some pond dipping and examine their findings. It really is a lovely little place, we can’t wait to head back. Close by the reserve is Granary Square which is a fairly new development near Kings Cross. There is a big open area with water fountains so we took our swimmers and the kids ran around for hours, splashing and playing. They have street food trucks if you want to grab some lunch and the yummiest ice cream shop, Ruby Violet, where we finished off a lovely summers day. There are a number of city farms in London, some are better than others, but they are all cute (and some are free). Generally, they will have cows, goats, pigs, chickens, horses: your average farm animal line up. I will list a few of my top picks. Hackney City Farm – I have been here a couple of times, it’s nestled away between Broadway Market and Columbia Road. It is thriving with happy animals, you can even have a pony ride (I think it cost a quid). They also have a yummy cafe deli which we didn’t sample but looks delish. 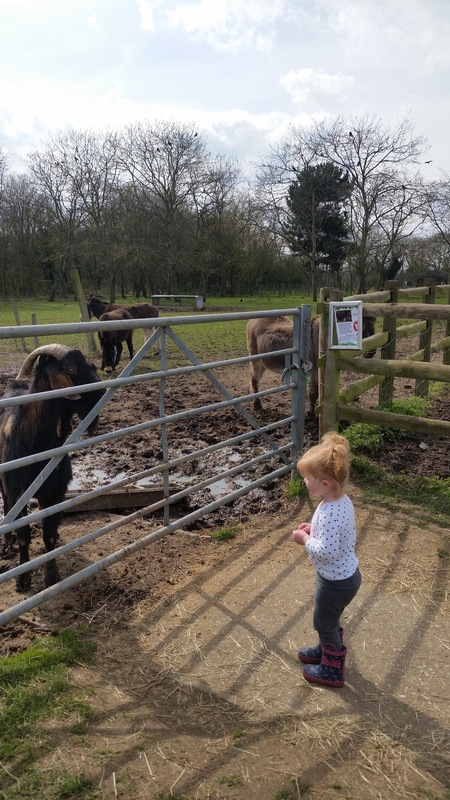 Hounslow Urban Farm – you do have to pay a little for this one, but it is totally worth it. It’s out of the city a little, but still accessible by tube via Hatton Cross (Piccadilly Line). They have all the usual farm animals, as well as some more unusual and exotic creatures. The best part about this farm is the hands on sessions that they have. 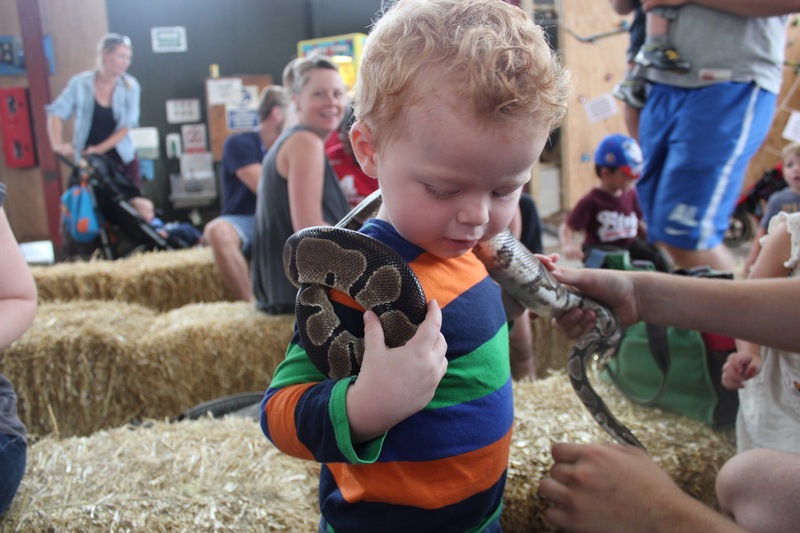 Your kids can hold snakes, stroke lizards, and feed tortoises. My children love it here and we’ve been several times, highly recommended. Deen City Farm – this is a lovely one. Located in Wimbledon, it is walking distance from Colliers Wood and South Wimbledon tube stations. It is set within the beautiful National Trust’s Morden Hall Park Estate and admission is free. Meet the resident alpaca and buy some seed bags to feed the animals, the kids love this. We LOVE this place. I used to be a bit overwhelmed by the size but now I know my way around it’s definitely one of my faves. Don’t be put off by the fact that it’s in one of London’s most exclusive neighbourhoods, the park is open to all. A ten minute bus ride takes us there and we go more and more now the weather is warming up. Holland Park tube station is right there so it’s very accessible. There are lots of different areas within the park, so you can’t really get bored. They have beautiful gardens if you want to sit peacefully in the sunshine but with kids in tow, we usually head for one of the playgrounds. 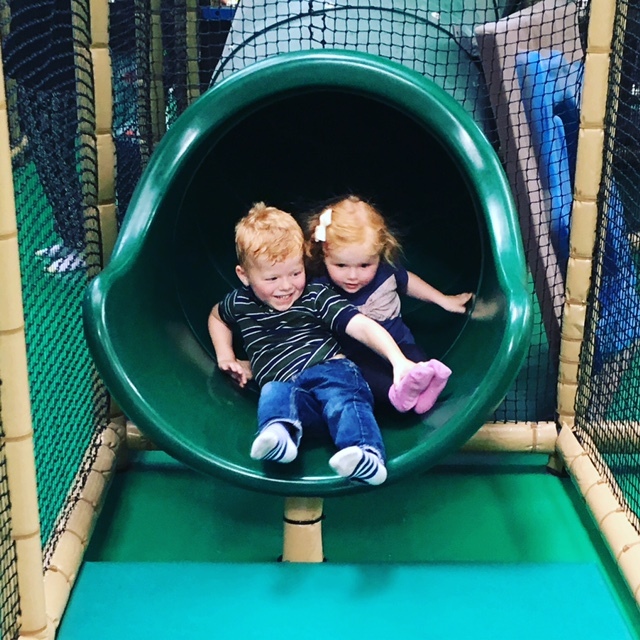 There are two main play areas, the first is the adventure playground which comprises of big climbing structures, swings, slides, zip wire, heaven for your little ones. The second is a bit more suited for smaller children as it’s more enclosed and has more accessible equipment for toddlers and pre schoolers. It is also full of sand so bring your buckets and spades! Last week, I literally spent four hours here with my three and five year old joyfully building sandcastles and playing with friends. Holland Park is just special, go there if you can. Look out for the beautiful peacocks that roam freely too. 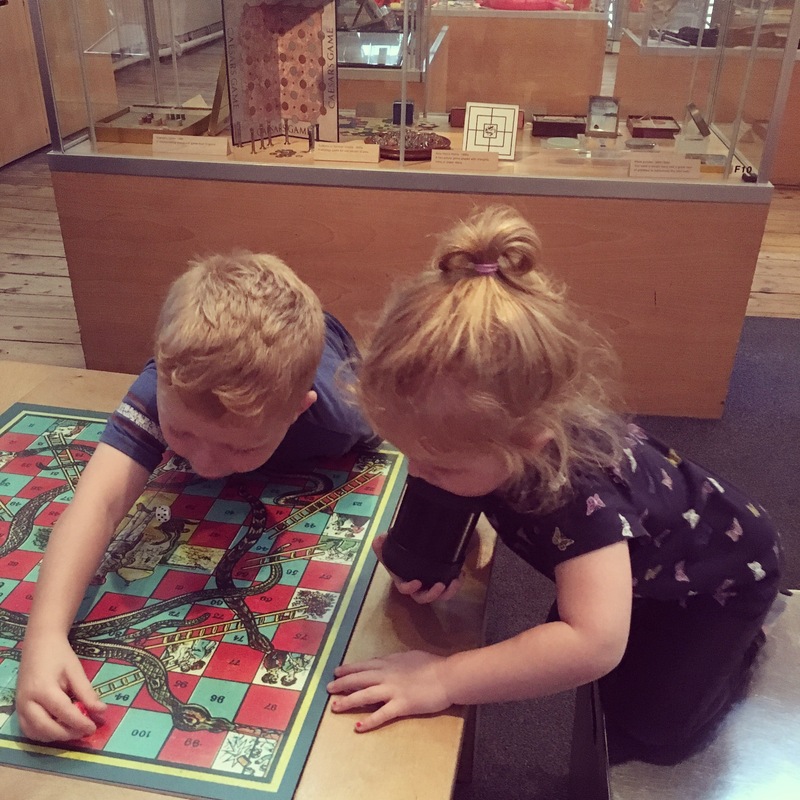 This is such a fun museum, both for parents and their children. Parents can reminisce while children learn about what life was like before computers. 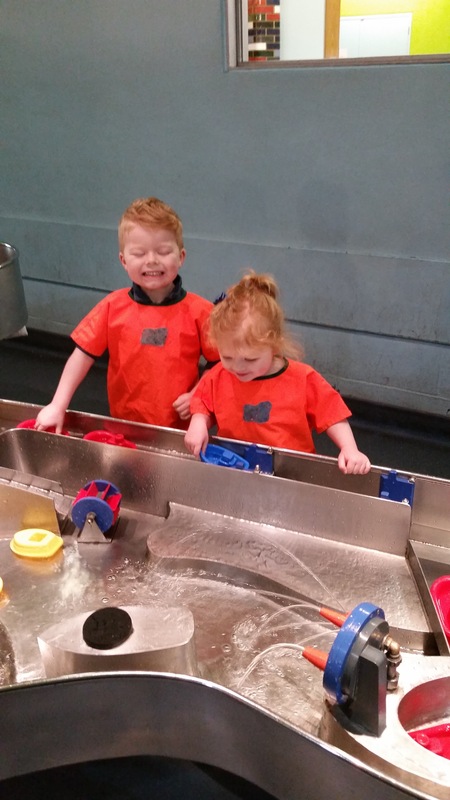 There are lots of hands on toys and games to play with, they even have a little indoor sand pit. We have been several times and always enjoy ourselves, our go to rainy day activity. I hope these tips have been helpful, I’ve tried to steer away a little from all of the obvious tourist traps. 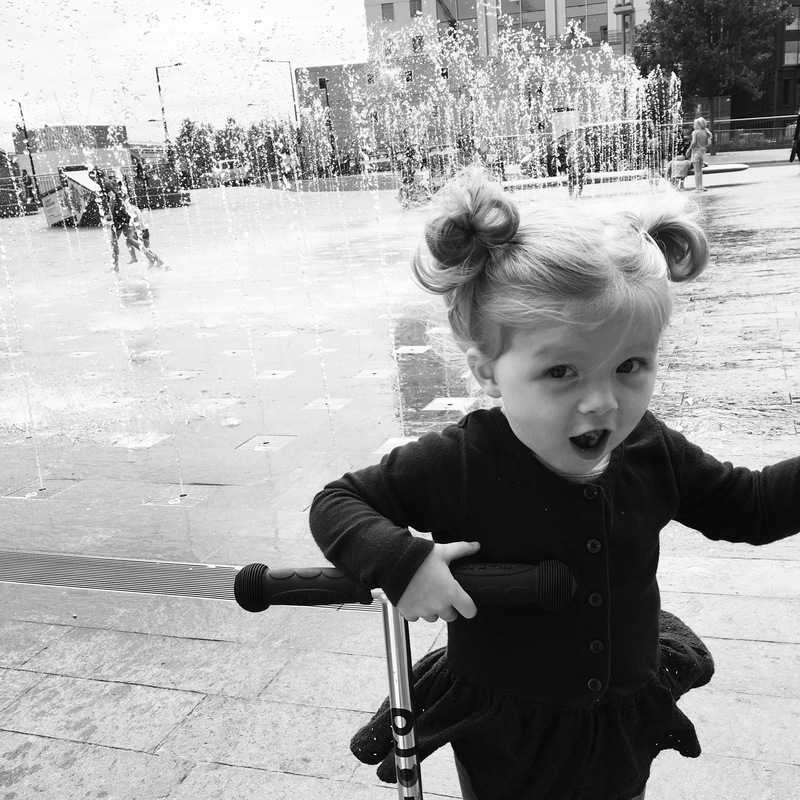 Travelling with small children around the city can seem daunting but it realy isn’t that bad. Look up on TFL to find out which stations have lifts if you have a pushchair. I always find a helpful person to lift my buggy though so even if you need to go to a non step free station, don’t panic. Kids travel for free and adults should use an Oyster card or you can use your contactless bank card on both trains and buses, easy peasy. London has so much to offer, it’s so rich in culture and history. Come and visit! We are on day four of two poorly children. We are talking vomiting and raging fevers, proper sick. They both simultaneously got ill so suddenly on Saturday afternoon and it’s been a rough ride for all of us since then. I always feel so helpless when my children are ill, it’s horrible. Thankfully, we’ve never had anything serious so I know we are extremely lucky. I have friends who have children with life threatening illnesses and I just admire them so much. I can’t even imagine seeing your child in so much pain and in real danger, knowing you can’t do a thing about it. It must be absolutely desperate and I am in no way comparing a tummy bug to people in those situations. Just wanted to say that. Ok.
We haven’t been out for four days and sleep has been scarce so it’s been a long week already. My poor babies have been so listless and sad, it’s breaking my heart. Just when I think they’re perking up they seem to crash again. They haven’t wanted to eat or play or anything, just sit glued to me watching beebies. I’ve been sleeping on the floor in their bedroom since they’ve been up so much in the night so I feel like I’ve got jet lag or something. I’m tired but who cares, I feel really lucky to be their mum right now. Even through these long days, I feel so happy that I can take care of them. Selfishly, it makes me feel really needed and I quite like that feeling! All they want is me, which can be suffocating at times, but also lovely. I love that feeling of them wanting me just to hold them because it’s the only thing that makes them feel better. I like it that they let me give them a million kisses and tell them everything will be fine. Having said all of this, there are a few necessary survival tactics I’ve undertaken to ease the process. I am embracing the chance to get some stuff done around the house. Ok, so this doesn’t sound like a helpful hint but actually it feels really good to keep on top of things. I have been housebound so I thought I could either let everything go completely to pot or I could prove to myself that I can take care of the kids and keep the house nice, so that’s what I’m trying to do. I am trying really hard not to get stressed about vomit. We have had several puking episodes these past few days and it’s not something I deal very well with at all. I am really weird about germs and sick is my worst nightmare. Sophie puked on me and herself and I just had to try and keep calm and forget about my own sickiness. I got her all cleaned up and calmed before assessing the chunks all up my arm and leg. George projectile vomited on the dining table and the lounge floor. It happened so fast and the spray was epic. I found myself audibly gasping and yelping and just not knowing what to do, so ridiculous. Sophie was literally surrounded so I barked at her to keep still while I attempted to sort out the carnage. I literally was telling myself in my head that soon I’ll have cleaned it all up and everything will be fine! I disinfected the living room within an inch of it’s life and I felt a lot better. Have you heard of Amazon Prime Now? Best and worst thing ever invented. I think it’s only available in certain parts of the country, where I live is one of them. It basically means that you can order stuff and it will be delivered within two hours. TWO HOURS! At times like these, having someone bring me a tub of Ben and Jerry’s is like a little gift straight from heaven. A big bottle of Lucozade. Enough said. Lastly, I have been regressing back to what everyone told me to do when I had a new born which is to sleep when they sleep. The kids were looking sleepy around 11am so I took them off to their beds and climbed into my duvet floor bed and we all had a couple of hours much needed rest. Don’t try and be a hero, if you get a chance to sleep then take it. Being a mother is such a huge learning curve isn’t it, to state the obvious. Just when you think you might have got to grips with it, everything changes and something new comes flying at you to test and try you. Hang in there mums, you’re incredible! Woah, I haven’t blogged for so long! When I started blogging I decided that I would only write when felt like it and would never force myself to write stuff just for the sake of it. Sometimes life is busy and weird and stupid and fun and there just isn’t the right way to put it down on paper (or computer screen). I love writing and I want to do it more so here I am, back for a while. Maybe. I haven’t been sleeping well lately, which is unusual for me. I just can’t seem to switch off my brain at night. There is so much dancing around in there that I feel physically exhausted, do you know what I mean? Like for instance, two nights ago I couldn’t stop thinking about going back to work as a dental hygienist. I’ve mentioned before that this might be happening soon and I feel really anxious about it, mainly because it’s been so long since I’ve done it. I decided to imagine an appointment with a patient from start to finish to test myself and see if I could remember everything I needed to do. This was a great idea to help me get to sleep, as you can imagine. Since I was the only examiner present for my test I gave myself a pretty good score. There were one or two things I overlooked once I thought about it again but, overall, it went well. It sounds crazy, I know, but it made me feel a bit more calm and confident in the fact that my brain hasn’t totally seized up. The stuff I learned is still in there and will quickly come back to me if I just try and access it. Something else that surprised me was that I felt a little flicker of excitement as I began to imagine myself in the work place again. I felt knowledgeable and useful, and I liked it. 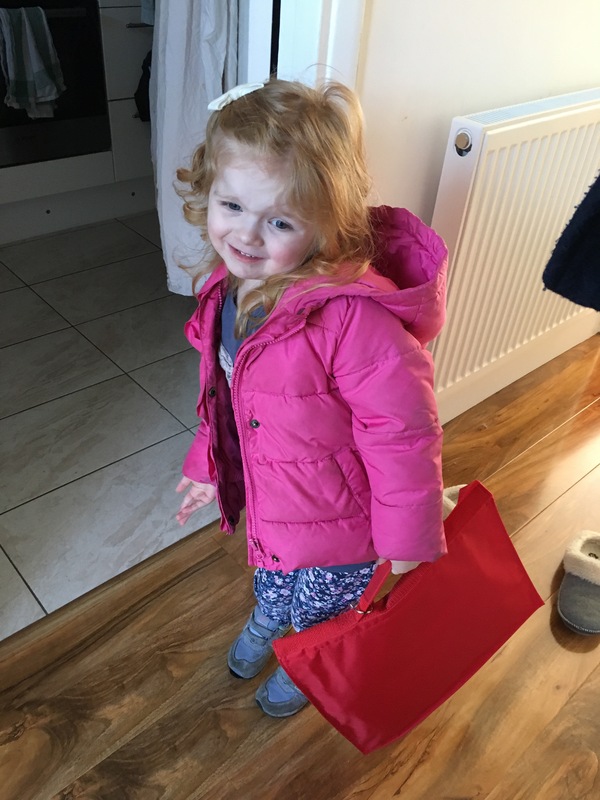 Sophie, my three year old, had her first session at nursery school today. She was SO excited and loved every minute of it. They make parents stay for the first few times to settle the kids, which I’m not a huge fan of but it’s fine. I didn’t want to just sit in the corner like some other mums and dads, I wanted to play with her and help her feel secure and happy. I sat down with her to do some drawing. She drew a beautiful ‘dinosaur in the rain’ and I was admiring it adoringly to let her know that she was doing great. She turned and looked at me and said ‘mummy, can you go now because I’m ok.’ I felt such a mixture of emotions at this statement! My heart broke a little as she dismissed me with such flippancy and coldness. It was like a piece of the ‘motherness’ in me fell away and wasn’t required any more. At the very same time though, I felt so proud of her. So happy that she is a strong, confident little girl who feels safe and secure in herself. What a wonderful thing it is to see your children gaining independence and having a desire to try things for themselves. For the remainder of the session, I sat in the corner just watching her. A few times I went over to ask her what she was up to and she promptly told me she would like it if I went to sit back down! Such a funny little thing, and not how I expected her to be at all. She didn’t want to leave when it was time to go and told me that her new teacher is her best friend, a huge success I’d say. As we skipped home, she started talking to me in a way that made me forget for a moment that she is only three years old. Sophie: Mummy, what will you do when I am at nursery school? Sophie: Who will you look after? 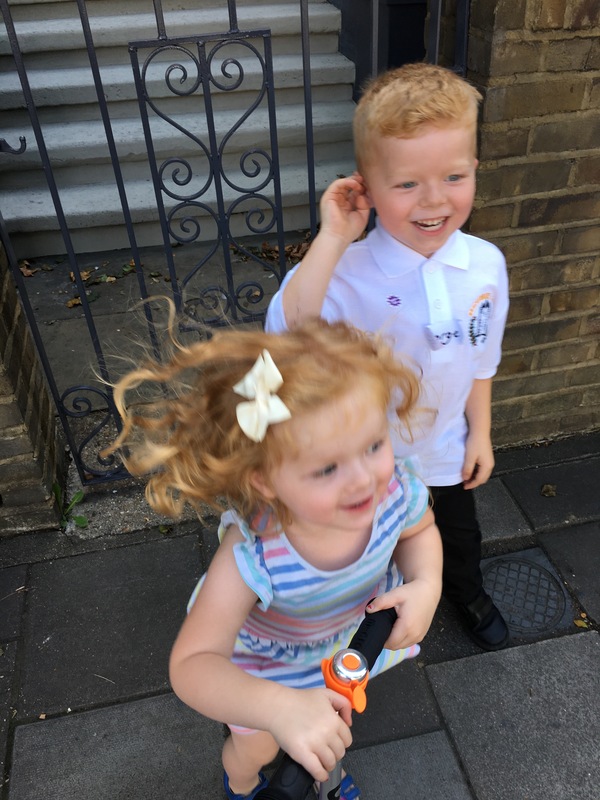 I will be having fun at nursery, George will be having fun at school, Daddy will be at work (the absence of the word ‘fun’ here made me smile), but you will be all on your own. You won’t have anyone to look after. I found this so interesting that she wasn’t concerned with who would look after me but with me not having anyone to look after. That’s what I do in her eyes I guess, I look after everyone. Kind of a compliment maybe? Also kind of made me want to show her that I can do other things, that I did do other things before I had these three special people in my life to look after. I want her to see me as ambitious and strong and curious and hard working. She sees all of this in the home, I know she does, but it has just made me realise that I need to stretch myself to do other things. Allow myself to have interests and hobbies, to find out what they even are after a long time of not spending time on stuff like that. I don’t usually welcome change but I feel really optimistic about this new phase of having my children at nursery and at school. To have a little chunk of time to myself feels incredibly indulgent and exciting. It’s hard seeing your babies grow up, so so hard. However, it happens so you can either deny it and wallow or keep going and embrace the different stages and opportunities along the way. Before I had a child at school, I would dread school holidays. Everywhere is soooooo crazy busy and I feel like we actually do less stuff than we would do on a normal day. 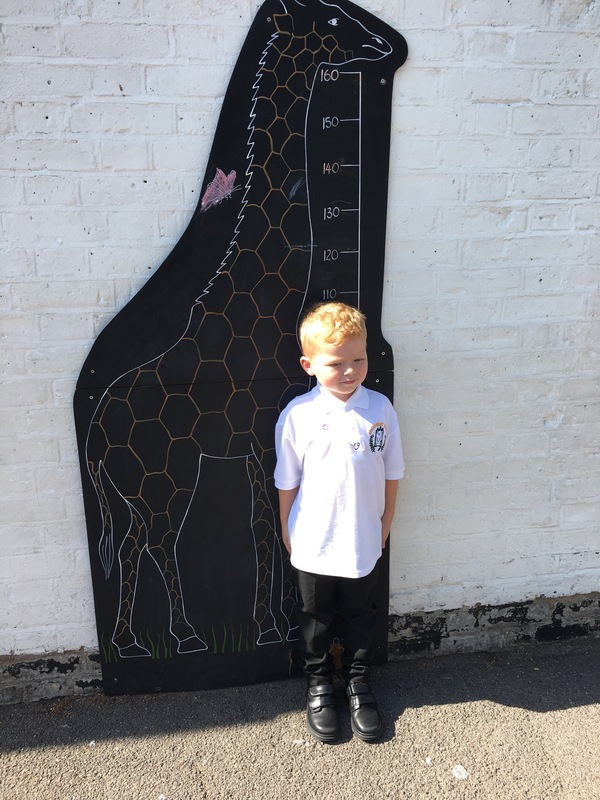 Since the day George started school a month ago, I have been looking forward to the half term holiday. I have really struggled with him being at school full time, I miss him so much. He LOVES school and is thriving which I am elated about, but I still find it hard. It’s so many hours to be away from each other when I’ve been with him every moment since he was born. To let him go and be with people I don’t know doing things without me is a difficult thing to accept. What if he doesn’t make friends? What if he’s lonely? What if he wants me and I’m not there? What if other kids teach him bad words? I’m sure this is totally normal for all parents sending their kids to school for the first time, but that doesn’t make it easier. I literally get that sick feeling in the pit of my stomach on a Sunday night because I know a new week is about to start. For the first four weeks I had tears in my eyes at every single morning drop off. I never let him see me sad, obviously, I don’t want him to know. I want school to be so positive and happy for him, he doesn’t need to know my pain. I’m sure it will get easier, it’s just been way harder than I could have imagined to let him go. With all that in mind, I was determined to make half term a fun packed week for all of us to make the most of being together. We spent a long weekend in York with the in laws to kick start half term. I absolutely love it up there and wish we could go more often. It is about a four hour journey but this time it took six with all of the holiday traffic. We also had a car sick child which made it feel even longer, poor girl. 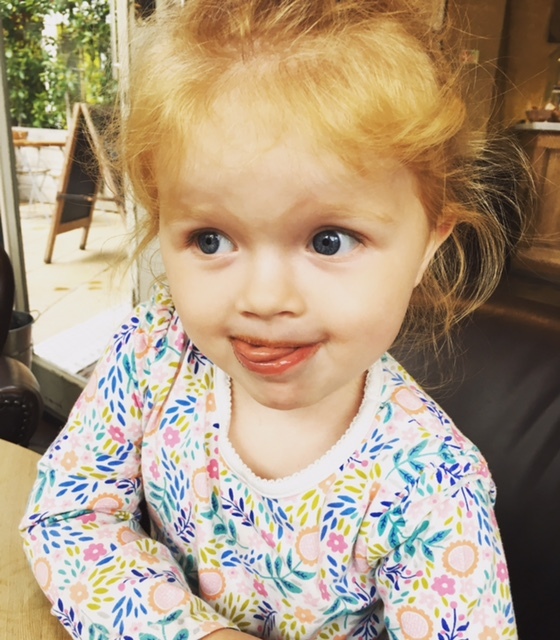 It was not my finest moment dragging her through the services, past people trying to enjoy their dinner while she was literally caked in vomit. We made it in the end though and promptly purchased some travel sickness pills for the journey home. We spent the weekend basking in the comfort of Grandma’s house being looked after and spoiled. I don’t know who loved it more, me or the kids! I feel so lucky that my husbands parents are so amazing, they really are. We had fun at the railway museum and buying local fudge in York. We even managed a date night for dinner and the cinema, a lovely re charge for both of us. On Wednesday I decided to brave the Science Museum, crazy I know. We are only a ten minute drive away and can park close by so it’s not hard in that sense. I just knew it would be ridiculously busy but that is my life now I have a child at school. We got there early and it really wasn’t too bad to begin with. They have a new children’s area called ‘Wonderlab’ which I highly recommend. It’s got so much hands on stuff, the children really enjoyed it. We stayed for literally hours and wore ourselves out, but it was so nice. On Thursday we went to one of my favourite National Trust places, Osterley Park. They had a pumpkin festival and the kids roasted marshmallows, buried themselves in leaves and squealed on rope swings for the whole day. It was exhausting but lovely to just be outdoors and have fun. On Friday we went to a pottery cafe where the kids were able to paint little figures and get messy. I confess, I’m not good at letting them have messy play at home. I worry far too much about clearing up and can’t relax about it. This was perfect as it’s all set up for them to paint to their hearts content without any thought for mess. They both enjoyed it a lot and it has made me more determined to try harder at home to be more carefree and creative. Today, the children are in the Transport Museum with their Daddy while I sip my hot chocolate in a near by Starbucks. We are all tired but it’s that good kind of happy tired. There is no way on earth I’d ordinarily have packed so much into one week but when that’s all you’ve got then that’s what you do. I love having both my children with me and I’m already feeling sad about Monday as life goes back to the new normal. As my kids were sitting on their coats in the street eating sandwiches in Covent Garden just now, a lovely man stopped me and told me what beautiful children I have. I really have and I’m so lucky. I wanted to write this post for anyone going through this right now, in the hope that it might be some little help. Losing a parent can have a life altering impact on a small child and it is so hard to know how to make things better for them. I want to share my own experience, from my perspective as a child, to give a tiny insight into how children feel when their lives are turned upside down by losing one of the most important people in their lives. When I was six years old, my father went to work and never came home. He was killed in a motorcycle accident. There were no other vehicles involved and it was a straight road on a dry day, no one really knows what happened. He passed away on the same night and I was woken up in the morning by my mother sitting on my bed. She told me that Daddy had been in an accident and he wasn’t coming back and did I know what that meant. I knew what that meant. I knew Daddy had gone and I would never see him again, I cried and cried. This is such a vivid memory, I can still feel the atmosphere and it makes my heart pump fast when I recall it. My Grandmother was there too, my father’s mother, and I had never seen her cry before. She didn’t hug me or anything, she just seemed dazed and distant. I didn’t like it. The days that followed were filled with people coming to our house and crying. People I hardly knew just picking me up and holding me tight with tears in their eyes. I remember this feeling of being so small and looking up at all of these sad giants and wondering if things could ever be normal again. A young vicar came by and sat and talked with us for while. My brother was only four years old and I don’t really think he knew much of what was happening. I remember the vicar telling me that my Daddy’s body was just a shell and that it wasn’t really him any more. In my childish mind I literally imagined my fathers body like a fragile egg shell with nothing inside. He told me that my Daddy had gone to live somewhere else and that he didn’t need his body any more. It was all just so much for me to take in, I couldn’t accept that he was gone. How could he just go to work and just disappear? I didn’t go to the funeral, which I was angry about for a long time. I wished I had been able to go and say goodbye and get some kind of end to the story. For a long time into adulthood I held on to being upset about this, but then I had children of my own and I understood. I know that it was best for me not to go, it would have been too traumatising for me and for the adults around me. I also went back to school very quickly after it happened, which I do also understand with hind sight. I needed some normality and school gave me that. There was one instance of a little girl saying to me in a little girl kind of a way ‘did your dad die?’ I didn’t really know how to respond. I didn’t cry or anything, I just distinctly felt like I didn’t want to talk to her about it. An older girl who overheard swept me away and told the quizzer not to say things like that. I didn’t really think that life could go on, but it did. I was sad on and off but not every minute. I got sad when I sat on my Daddy’s bed, gazing into his wardrobe and realising that he wouldn’t be wearing any of his clothes any more. Apparently I used to cry out for him in my sleep, but thankfully I have no memory of this. I couldn’t bear it when another man moved in and tried to take his place. So many things that made me upset or angry but that were utterly out of my control. It wasn’t until I started getting older, probably into my mid teens, that I properly grieved for my Dad. I began to talk about it and face up to this anger and deep sadness inside me. I was angry at my Dad for leaving me, as irrational as that sounds. I was sad because I was realising that he would miss my wedding and my kids and all of those mile stones where you need your parents. It’s still hard now, so hard. I miss him and I think about him and I talk to him, I don’t think that will ever change. It is so difficult as an adult to imagine what it feels like for a child to go through such a traumatic experience. I look at families who lose a parent and my heart aches for the children. I know how they feel and how they are going to feel. 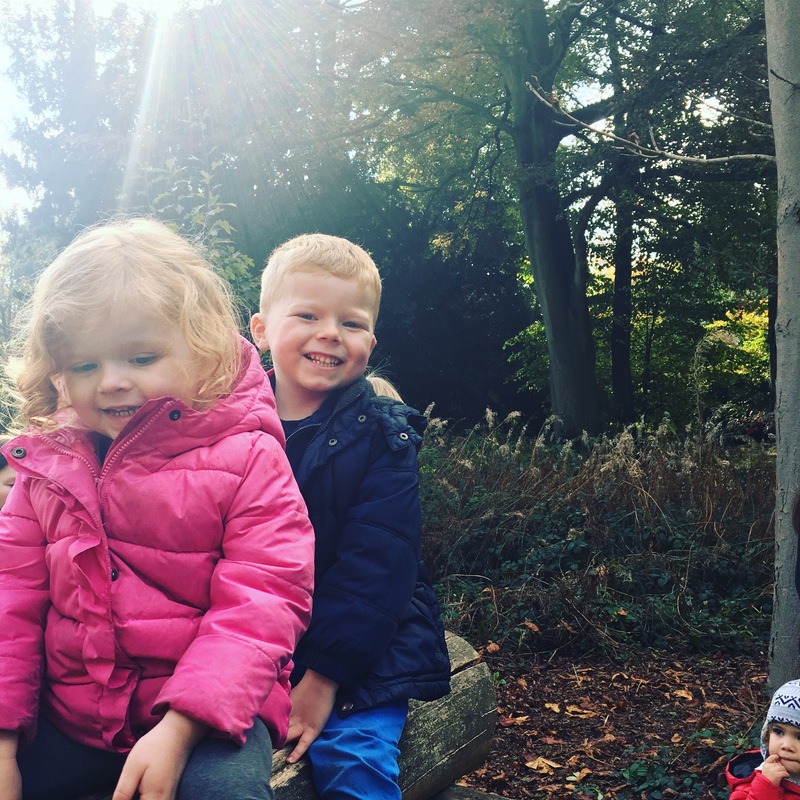 I know that they don’t fully understand, but at the same time they soak up everything and their hearts hurt.I have a few insights into how to best help a child who goes through loss. Adults need to just love children during these times. Just love them and hold them and make sure they know they are safe. Talk to them about the person they’ve lost, children need to keep them alive. This can be especially true if the death is sudden, as it was for me. I needed to know that he was a real person and that he did actually exist, otherwise it all becomes like a dream. Keep photographs around the house of the person that has died. This was something that didn’t happen for me and it almost drove into me even more the idea that he never really existed at all. Give the child a keepsake belonging to the person they’ve lost. I had a handkerchief belonging to my Dad and it just meant the world to me. To hold something in my hands that he had touched just meant everything to me. It made me feel close to him and like I had a little piece of him that I could keep with me. I also have his wedding ring and I love, even now, putting it on my finger and imagining it on his. Don’t tell children not to cry. I remember this happening to me and it made me feel so confused. I wanted to cry, I was sad. Things really are as simplistic as that to a child, don’t try and tell them to hide how they feel. It is so much healthier for them to express themselves and they should be encouraged to do that. Don’t be afraid to tell children details if they ask for them. I wanted to know what injuries my Dad had and precisely how he died. I wanted to know if he was on a life support machine and if he was ever conscious after the accident. Children want to understand why something has happened and the events that lead up to it. As an adult, all of these things are difficult to do. I cannot even begin to imagine what it was like for my mother to go through what she went through. Now that I have two small children and I am roughly the same age my parents where when this happened, it is all the more horrifying for me to imagine what it was like. Having said that, as the adult you sometimes need to put to own grief to one side for the sake of your kids. If they want to talk about it but you don’t, talk about it anyway. If they are upset and you feel like you just need to shut yourself away, please don’t. These experiences can dramatically alter how children cope with loss as a child and throughout their entire adult lives. My heart truly does ache for anyone who has lost someone, whether it was years ago or last week. It is one of the hardest things we have to deal with in life, losing someone we love so incredibly. It is hard to imagine how we can carry on and live but we can and we do. My experiences have made me strong, still sad, but strong. I have just waived goodbye to my four year old, George, for a whole week. He is going to stay with his grandparents in York with his two other little boy cousins. He is going to have the best time ever, but I am already missing him and feeling sad without him being here. It’s incredible how emotionally attached I feel to my children, it’s like no other feeling in the world. I worry about them all of the time, and I don’t think that will ever change. I have been reflecting lately on why I had children, why I always wanted to have them. This thought has particularly struck me twice this past week through a couple of observations I’ve made. Firstly, I saw a lovely lady walking along with her screaming toddler and her teeny tiny baby attached to her in a sling. She was also carrying bags and it was evening time so she was probably tired out too. She was calm and totally had it all under control, but I knew how she felt inside. I knew she felt anxious to get home. I knew she wanted her toddler to stop crying and hold her hand nicely. I knew she would be calculating her baby’s next feed time in her head. It just made me stop and think ‘why. ?’ Why do we do these hard, hard things? Another pensive moment I had (I don’t usually have many) was when I was walking past a cafe the other afternoon. I was with my two scooting children who were refusing to scoot and we were trying to make our way home before it was too late to cook and the inevitable cereal dinner would make an appearance. The sun was shining, and the cafe had outdoor tables filled with people idly sipping their smoothies and reading books. I gazed so longingly at these people that I almost tripped over my non scooting children. I was wishing it was me sitting there enjoying some peace by myself. I was wishing I could eat cake and do what the heck I wanted for a few hours. Then I asked myself, why do I feel like this? Why am I so often wishing that I could have some ‘me’ time and that I wasn’t looking after my children? Why do I want to be somewhere else? Why do I clock watch until bed time some days? I know all parents do this sometimes and that it’s normal, but I want to do less of it. These feelings don’t mean we are bad parents, I know that, it has just made me reflect on why I am a mother. I have been spending way too much energy on these thoughts recently and I need to shift my focus. When I really look at my children, I see these incredible little people. They have feelings, they hurt, they rejoice, just like I do. They are intelligent and curious and innocent, they are beautiful. They deserve my time, my whole heart and soul. I have also been thinking about the kinds of childhood memories they are forming already. What will they say when people ask them about their upbringing and what their parents were like? Will they say ‘my mum was really grumpy and not much fun?’ ‘My mum took care of me but she didn’t seem to enjoy it.’ ‘My mum always seemed like she would rather be somewhere else.’ Doesn’t it just hit you when you consider it like that? I am impacting their little minds so massively with experiences that will stay with them forever. Pretty full on, huh. I see so many people having a hard time with their kids, just like the lady I saw making her way home. Some days are so incredibly hard, but we do it anyway, and we have more children! Aren’t there those moments, though, when you just feel so much happiness you might burst? When my children tell me they love me and they hug me and kiss me, I feel so much joy. Pure joy. Yesterday, I was particularly snappy and wishing the day away. I really wan’t a nice mummy and I felt it. Once the kids were asleep, I went and laid next to George and just held onto him for a while as he slept. I told him how special he is and how much I love him and just cuddled him for ages, tears streaming down my face. These moments really do make everything else melt away, as cliche as that sounds. My children are a part of me, they grew in my body and I see my face in theirs. I want to be better for them and for us all to be happy and enjoy this incredible gift of family life we have been given.